How do your hubs measure up? The category of "substandard hubs" is a broad one, so there's often confusion about what meets the criteria to be flagged as substandard, or what you have to do to bring your hub into compliance if it has been flagged as such. A few common reasons for moderation in the substandard category are listed below. Please remember: As with my hub on overly promotional content, this is not meant as the be-all and end all of criteria, only as a tool for troubleshooting for popular problems. If you have general questions about substandard content, leave them in the comments section at the bottom of this hub, and I'll do my level best to answer them. Specific questions about a particular hub can be fielded to team@hubpages.com. In the FAQ, substandard hubs are generally defined as those that do not meet HubPages' quality standards. That statement in and of itself, however, doesn't offer much explanation as to exactly what HubPages' standards are. As it turns out, the standards are very simple and pretty easy to meet. All you need to do is write a hub with quality, original content that might be of interest to someone other than yourself. This item is pretty self-explanatory. A hub that consists of a link, feed, picture, or video, with little or no explanation or commentary, is not very useful to the community or to visitors from the web at large. Adding a few paragraphs of original, quality content is an easy way to remedy the problem if you've been flagged for a hub in this category. Users sometimes mistake HubPages for more of a blogging-type platform, with ongoing updated content. While we do encourage hubbers to continue adding to and improving their completed hubs, hubs that inform the reader that content is on the way are not very helpful in and of themselves. If you're trying to "reserve" a URL, you can easily create a hub and save it unpublished for as long as you need to finish it, and publish it upon completion. This is another common problem that stems from the blog vs. hub misunderstanding. While we do permit some poetry and anecdotal stories that add to a topic, hubs are not the place to journal, or simply talk about your day (though we'd love to hear how you're doing, and so would the community-just visit the Hubber's Hangout) or introduce yourself (that information should go on your profile page). The question you should pose to yourself if you're wondering whether your hub qualifies as personal is, "Would a stranger coming from a search engine or another site find this information useful?" If the answer is no, chances are your hub may be flagged for substandard content. If your hub is badly formatted, in a way that interferes with a user's ability to read or enjoy it, it is considered substandard and requires revision. This problem is easily avoided by taking a moment to hit "Preview" before publishing a hub, to make sure the text doesn't have extra line breaks or run off the edge of the allotted space. 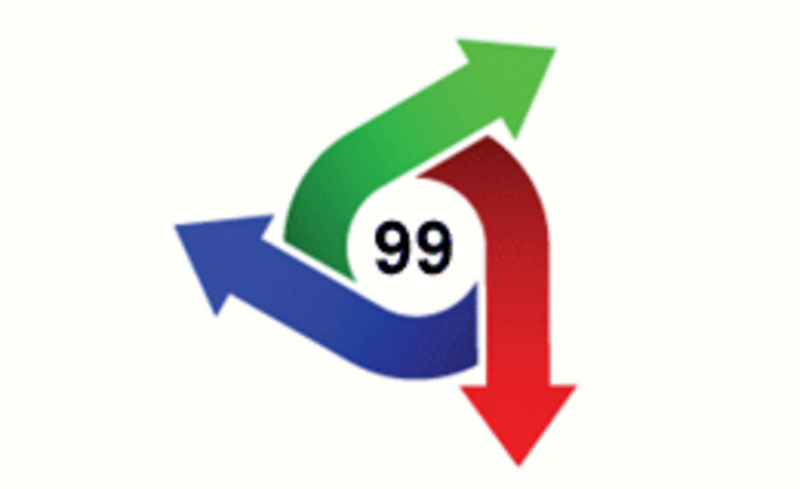 In addition, if there broken links or videos, a substandard flag may alert you to the need to update your hub. It is hard to be a hubber if your native tongue is other than English. While HubPages isn't going to come down on you for a few misspellings or grammar mishaps, if the content of your hub is unintelligible to English speakers, it obviously can't be useful to our primarily English-speaking audience. The use of online translators often churns out text that makes virtually no sense, and we have to remove these hubs from circulation when they are brought to our attention. Some topics have been covered extensively by other users. If you feel you have something new to say or a different take on a popular subject, by all means, create a hub to share it. However, we reserve the right to remove hubs that merely "flog a dead horse," so to speak. For example, there are over 300 hubs about making money online by taking paid surveys. At this point, chances are the topic is fully exhausted. In cases like these, your hub may be flagged because it isn't saying anything that hasn't been covered already. Substandard hubs are easily avoided, and easily remedied. By concentrating on writing unique, evergreen content, you can escape the entire issue. Please remember, if your hub has been flagged as substandard, it isn't a judgement on you as a person, or even on your writing skills. High-quality content is what helps HubPages maintain its authority and ranking, so ultimately, what's good for the company is good for you in terms of better traffic and, often, higher revenue. 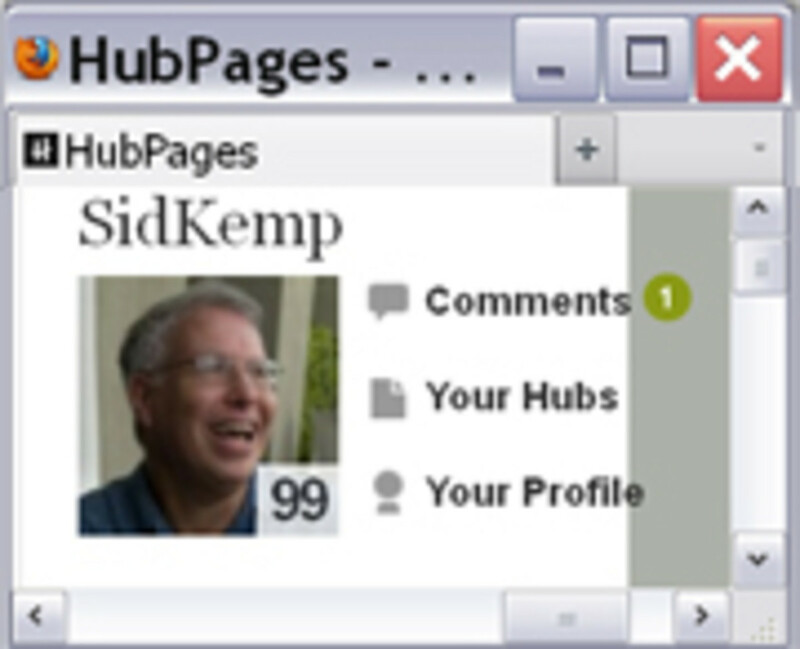 We all want HubPages to thrive! Holding to standards is the key to success. From your comment, I can guess that your Hubs were modded as substandard for punctuation/grammar/capitalization issues that interfere with the readability. An investigation of your account confirms this. Try taking the extra time to proofread your Hubs before you submit them, or ask someone close to you to do so. It makes all the difference! It looks like your Hub was moderated for quality issues stemming from your use of language. When a Hub is difficult to read or understand, it is moderated as substandard. Definitely, we all want our own hubpages to be the best and it is. Hi, recently I have a hub flagged as substandard and I'm really worried about it. Even after I read the hub over and over again, I don't know what's wrong with it. Is there anymore reasons other than the ones you mention above? Maddie, thanks for writing me back. I recently got a short story approved. If you have the time, check it out. I also just submitted an article. I'd love to hear your feedback, being a moderator.. You could let me know if this site is a good fit for my writing. OK! Now my goal is to Publish 10 Hubs without any revision. I hope my account will be removed from probation one day. Once we see that you have a pattern of attempting to publish only Hubs that meet our standards, your account will be removed from probation and you will be able to publish without review. Unfortunately, the Hubs you have submitted recently often still require revision. I joined Hubpages 2 years ago. I admit my Grammar is not very good because English is not my native language. At the beginning I wrote some Hubs on computer ticks which got very popular. Suddenly my account was flagged. Now I have to go through administrator review process to publish a new Hub. I think it is good for me since I get the opportunity to improve my English. But I get frustrated when I don't get the freedom to edit my Hubs. If I make any simple changes the Hub has to wait in the queue to get reviewed by the moderators. Sometime it takes 2 days and the Hub loses its search engine traffic. I never published any copied/spammy content. Now I try my best keep my Hub away from major grammatical mistakes. Can you please help me to get rid of this problem? How can I get my account back to normal? I don't have any problem when my new Hubs are reviewed by a moderator but I want the freedom to edit my previously Published Hubs. Please kindly help me or give me suggestion. Your help will be appreciated. Having just submitted my first hub that has been classed as substandard I have found this hub really useful. I did find it a little frustrating that there was no explanation at all as to why is was classed substandard. I'm sorry you're so frustrated. HubPages is designed for substantial stand-alone content pieces, so very short Hubs are indeed moderated. Try adding additional content and a few original pictures, or a video. Otherwise, good luck in your writing endeavors, wherever you choose to undertake them. I submitted some great ideas, and I'm not illiterate, but every post I post is deemed "substandard". So I'm about to give up on hubpages. My posts are very short, but I pride myself on being short and to the point. I am irate about this. Love the term evergreen content. Food for thought. Thanks for the help. Hey dear you all are working great but i have few questions.As much i read about changes hubpages has made i think hubpages just targeting on US audience.Am i write? As much i know hubpages gets 23% of its traffic from India.Alexa says so,may be that's inaccurate.All of my hubs have been flagged saying they are of substanderd.After reviewing them i got many mistakes,have been edited and now i think they are fine to be on hubpages.Still am improving them and will submit for publication when i will feel that they are good enough. I think a site as big as hubpages should target on international audience,not only on US audience.So what's your take on it? Does peoples should come with country specific sites like hubpages.com? as people who's native language is not English,how they gonna perform? My native language is Hindi but still i read articles on sites like ezinearticles,articlesbase and others.They are not well written from my point of view(as if i need to write same thing there will be many changes)still i understand what articles want to say.I think to understand things of any writer we need to use our mind.Nothing can be so so simple that we just read and understand without using our mind or it can be? May be i am wrong but i just asked what i feel? Thanks for the infos listed here. Yes, most of Asian hubbers, like me have problems in English grammar. Although it's our second language, we try to excel on it and convey information that emanates from this side of the world. I agree with the two comments above. I have had a couple of hubs flagged as substandard. I see no clear reason for this. The last one I just did was immediately flagged as substandard. it was a recipe with images. I added an amazon module. My problem is I see all kinds of hubs that have less content than mine and they are still active. A very specific reason for flagging a hub is needed. Other wise how can we learn what is required? I agree with Humagia - clearer identification of a problem would help - I too have my first hub marked as sub-standard put of 270 good ones - corrected a few minor typos and did some editing and now left in tenterhooks and in the doldrums waiting for the moderators to see it, but unsure if i've cracked their concerns. Interestingly, the Hub is still getting marked down, point by point, even though officially only readable by me and admin. Very distressing to feel my entire web presense could be compromised by a single hub that could be fixed quickly if I had a clearer idea what I was fixing. Wondering how long it takes admin to get round to reading such problem Hubs - keen to get things back on track but it seems to be left in Limbo here. Maddie, thanks for this necessary hub. I agree with Pamela99 though that some form of communication would be appropriate to explain why a hub has been moderated as substandard, and what aspect needs to be improved so that re-issuing a revised version of the hub does not get re-moderated as substandard. This would assist both the author and the moderation process, the latter alleviating some of the time that would be wasted by the moderator having to moderate a number of times, when one additional moderation could be enough. The issue for authors on this is that there is a warning that constant issuing of substandard content will cause one's account to be closed. If we do not know the specific's of why a hub is substandard we are 'in the dark' as to what aspect to address. I have now written 180 hubs which seem to have been considered within standard. Today I find one that has been moderated as substandard. It is a recent, 4 day old hub, admittedly. It has a hubscore of 73 which would normally indicate to me that the majority of the criterion for content volume are met and that the general content is viable. It has over 1000 words so the word count should be fine. It had reached a volume of 50+ external hits per day in the 3 days it has been published which would indicate that the search engines found that the content was SEO'd to their serps requirements. In fact, none of the 'some common reasons' for moderation, seem to fit. I have been using a piece of software to analyse and SEO the content and wonder whether the changes suggested and implemented have caused the moderation. I understand that discussing individual hubs is not for the comments section here but would appreciate a suggestion as to how a dialogue could be instigated so that I can address the issues raised by the moderation in a swift and mutually agreeable manner without causing excessive delays and additional, time-consuming effort for your moderators. PS I presume you will be able to find the hub in question by my profile and the fact that it is the only one recently flagged. I have a substandard hub for the first time and I understand if that is true why it would be blocked from the public, but I also can't see the hub. How am I suppose to correct the problem or even know what the problem was if I can't see it. I found it accidentally. I think some notification would be nice. I am usually quite meticulous about by hubs and I find this very upsetting. Great info Maddie. Thanks. I just posted my first hub and I am anxious to know how it gets rated. These tips will surely make me try harder. Cheers. I just looked at your account, and none of the Hubs you've published are marked as substandard. When you are first creating a hub, it may display that warning while you are working on it, before you've added enough content, but once you've got a decent amount of text, it should go away. If you have specific examples, feel free to email me through the link on my profile. I began huppages a few months ago but I am now getting discouraged because nearly every single hub I post says substandard. For example, christmas is coming and no matter how I changed things around it still says substandard. I finally gave up. I get so confused sometimes with hub scores and author scores this has been a very useful read (and definitely a hub I should have read months ago!). thank you . I just keep learning more everyday. Very informative hub, gave me a lot of insight. Thank you for sharing your thoughts and clearing a few things up. This is excellent information that is helpful for everyone, but particularly for those new to Hubpages. I believe, for the most part, most people do not intentially create poor hubpages or &quot;spam&quot; it is more a question of being unaware. You did an excellent job of giving good advice without being judgmental or too harsh on people who are just unaware of the nuances and etiquette of social sites. Thanks for the link. Very imformative. A must read for all hubbers. Useful information. I am new to Hubpages, so reading Hubs like this is probably the right thing to do. I have to say that Hubpages is taking a little more time than I thought to get the hang of. I am esp. afraid of &quot;poor translation section&quot;, though I've never used online translation services and try to use my own knowledge of English (which is not my native tongue). Thanks for the information. This is an important subject matter for anyone new to hubpages. Thanks Maddie. This is very helpful information. Thanks for taking the time to write this up, it clears up a couple of questions I had. I must say, the comments are just as informative as the hub itself! I have a question about the word &quot;useful&quot; I'm just starting out and one of my 3 hubs is intended as humorous. Is entertaining considered &quot;usefull&quot; or is Hub Pages intended to be a &quot;knowledge base&quot; community? Great as always - Very simple and to the point. Much appreciated, cheers, Dan. Great! HP needed someone to explain everything...if only people would read. Great tips for new hubbers. I'm just figuring out how all this works and hubs like this one really help. Great points! I think the one that throws me the most (while reading) is if there's a translation issue, because it just pulls you right out of the reading and looks disturbingly unprofessional. OK I will try harder now, thanks! This brought up an interesting point for me. Do you add to your own pageviews when you visit your pages to edit them or review them quickly? Can it be set that if you are logged into Hub Pages and you visit your own Hubs that it doesn't count toward page views? Like in Analytics how you can exclude your own visits. Excellent and helpful to us newbies! Your hub has a lot of practical information that I was looking for. I appreciate you writing on the topic. Thanks Maddie. Someone should also mention that everyone should try using their spellchecker. I don't know how to go about telling people about their spelling errors and I know if I had some I would want someone to let me know. Poor spelling reflects poorly on their hub, even if it has great content. We don't have a set number of words we look for, but rather use reasonable judgement to determine whether there's enough content there to merit an entire page's creation. While we don't want you to drag out a subject beyond what is necessary, if you're saying something that only takes a paragraph to say, it probably isn't a good topic for a hub anyway. In my own experience as a hubber, hubs over 300 words generally perform best, but that is in no way HubPages' rule. It's not cut-and-dry, unfortunately, since if someone writes a longer hub with almost no actual content, it also may be flagged as substandard. Is there a minimum no. of words so as not to be treated as 'very short hub'? Very helpful guidelines by the way. Your info is very helpful and fun to read. Keep up the great work --I for one can use the help. This hub measures up very well..!! Very usefull info for everyone. thanks&not;.. Thanks! Empty hubs bum me out. Hopefully, new people will learn. I have a lot to learn myself. Again a wonderful Hub adding clarification to this matter. Thanks. Thanks, Maddie. Your hubs always give good information. Maddie, I didn't know about reporting comments as spam. I guess I didn't pay close enough attention. Thanks for making me aware of this, as I always just deleted them. Maddie, it is great that you are doing these hubs! It helps clear up so many questions that many ask. Can't wait to see what you write next! Thx, Maddie. You say it so well in a way that alleviates any confusion. We leave comment moderation to individual hubbers' discretion, for the most part. Some hubbers don't mind comments like &quot;Great hub!&quot; while others prefer to remove anything that doesn't add to the content of the page. So really, it's up to you what stays and what goes on your hubs. If someone drops promotional links in your comments, please flag those comments &quot;spam,&quot; as that helps our system identify people who are abusing the comments section. If someone *consistantly* drops links, please shoot us an email so we can take appropriate action directly. While it may seem silly, but there are some coments that seem &quot;substandard&quot;. Mostly they seem to be spam &quot;Great hub, come buy my product&quot; but are there others to watch for? Thanks so much for your kind words. Regarding unpublished hubs, they do not affect your HubScore, and the hits you see on them are your own, from editing and/or viewing the hub yourself. Hope that clears up any confusion! If everybody followed this advice the &quot;hubbing&quot; world would be so much nicer don't you think? My question Maddie is this. If I have a hub I'm working on and it's still &quot;unpublished&quot; does leaving it unpublished for say a week or longer in any way affect my overall hubscore? If so how long until it does? And why is it that in statistics it shows that I've had hits on my site when it's not published yet? The last hub I published showed it had been visited 8 times before I had even published it. Does it count when I'm working on it? P.S. Maddie, not too sound like a &quot;brown-noser&quot; but you are one of my favorite hubbers and I think that HubPages made a smart move in making you a moderator! Good luck in all you do! Hi Maddie. great hub. Very useful info. I didn't know that you remove hubs that are redundant with others. I guess before I start a hub, I should check whether my topic has already been written about so many times or not. Maddie, I love that you are doing these informational hubs! Maddie! Thanks for the explanations. great hub. very informative. i am now more aware of how to avoid substandard hubs. thanks so much for sharing.